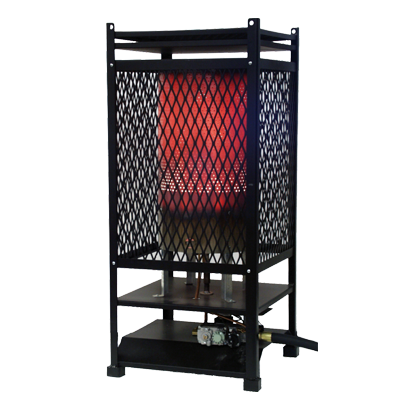 Flagro's Radiant Heaters are thermostatically controlled, with a filterless design and a heavy-duty frame that weighs less than 50 pounds. These units are stackable for easy storage and transportation, with recessed controls to protect them from being damaged. Natural Gas 7.0" W.C. Propane 10.0" W.C.
16" x 16" x 35" 16" x 16" x 35"